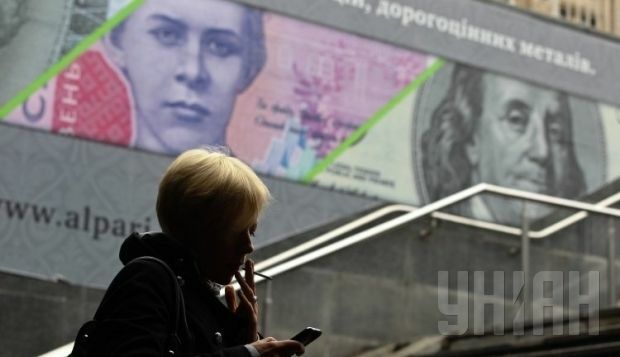 Ukraine’s ailing national currency the hryvnia slumped to a historic low of UAH 15.20 to the dollar in trading on Friday on the Ukrainian currency market, online financial Web site UkrDealing has told UNIAN. As of the end of trade on the Ukrainian Interbank Currency Exchange, the hryvnia was being quoted at UAH 14.80/15.20 per dollar, according to UkrDealing. Against the euro, the hryvnia dropped to UAH 18.34/18.83. Quotations for the hryvnia against the Russian ruble were at UAH 0.3186/0.3286. The hryvnia, which opened at around UAH 14.20/14.70 to the dollar, slid in value steadily during the day’s trading. On Thursday, the interbank market closed with hryvnia quotations at UAH 14.60 per dollar. Quotations of the hryvnia against the euro were UAH 17.57/18.13, and against Russian ruble UAH 0.3074/0.3174. As UNIAN reported, at 1400 on Friday the National Bank of Ukraine set the official UAH/USD exchange rate at UAH 14.47066 per dollar, which was 51 kopikas less compared to Thursday’s official rate, setting a new historic minimum for the official rate. Earlier, the National Bank of Ukraine said it had decided to conduct daily currency auctions from November 5 of small sums according to a Dutch auction system to find the normal equilibrium exchange level, in hopes of stabilizing the hryvnia at its then current level. But soon after the central bank announced the new auctions, the hryvnia suddenly plunged in value in interbank trading.